The United Nations told Greece it must show "much more leadership" as more than 160,000 refugees and migrants have arrived, overwhelming the country's small islands and causing a humanitarian crisis. "The number of refugee arrivals to Greece ... have been increasing dramatically and have now reached the 160,000 mark," William Spindler of the U.N. High Commissioner for Refugees (UNHCR) said at a Geneva news briefing on Tuesday. To underscore the deadly risks migrants are taking to reach Europe, six Syrian migrants, including an infant, drowned off the Turkish coast Tuesday as they tried to reach the Greek island of Kos. The UNHCR on Tuesday said the Greek government has a responsibility to do more, and the European Union must also support Athens. "If the (Greek) central authority would come up with a leadership ambition and appoint somebody who would coordinate this response, then we and other international organizations would be ready to come and help. But it is difficult for us, if there is, to start working on the ground if we don't have somebody who is in charge," the UNHCR’s Spindler said. Last month alone, more than 50,000 refugees and migrants arrived in Greece - twice as many as arrived during all of last year, the UNHCR said. Spindler told VOA the lack of reception facilities is worsening the crisis unfolding on Greece’s small, inadequately prepared islands. “There is a bottleneck as people need to be registered by the police; but, the police are overwhelmed. They are overworked. They have been working for 20 hours nonstop ... they are tired,” he said. “The refugees, as well, are very frustrated that (they) have been waiting sometimes for 10, 12,15 days in conditions that are obviously not adequate. In some cases they have not received even the most basic assistance. They are frustrated. They are hot, they are tired, and they want to leave those islands as soon as possible,” Spindler added. 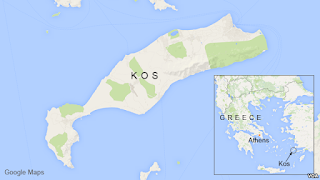 Rising tensions led to clashes last week on the Greek island of Kos, between local police and desperate migrants and refugees, many fleeing conflicts in Syria, Afghanistan and Iraq. In response, Greece chartered a passenger ship, which will be used to house and process hundreds of Syrian refugees, many of whom are living in tents or cardboard boxes. Spindler told VOA the rising tensions are aggravated by a lack of communication between the new arrivals and police. To try to remedy this, he said the UNHCR has sent to the islands a number of interpreters who can speak Arabic, Farsi and other languages. Spindler said Greece needs to show more leadership on the migration issue, but he added that most of the refugees and migrants end up in other European countries, so Europe cannot sit back and do nothing. The influx of boatloads of migrants every day has triggered a "humanitarian crisis within the economic crisis," Tsipras said at the time. Vincent Cochetel, UNHCR director for Europe, also called on Greece earlier this month to take control of the “total chaos” on Mediterranean islands, where nearly 125,000 refugees have arrived so far this year by sea. "The level of suffering we have seen on the islands is unbearable. People arrive thinking they are in the European Union. What we have seen was not anything acceptable in terms of standards of treatment," Cochetel said after visiting the Greek islands of Lesbos, Kos and Chios. "I have never seen a situation like that. This is the European Union and this is totally shameful," he added. So far this year, nearly 250,000 migrants have reached Europe by sea, compared with 219,000 for all of 2014, and at least 2,349 have died making the journey, the International Organization for Migration (IOM) said Tuesday. 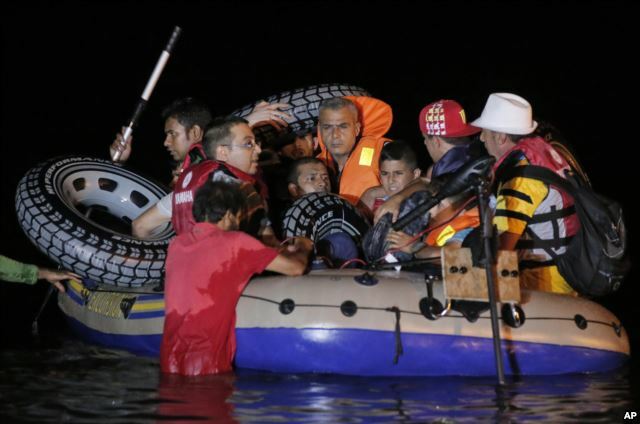 A total of 1,000 migrants are being rescued on their way to Italy and Greece each day, IOM spokesman Joel Millman said. "Migrants are being rescued, both in Italy and Greece, at a rate of over a thousand a day if you add the two nations together and we would like to point out that there are 135 days left this year, we have every expectation that the total number of arrivals will surpass 300,000," Millman said. On Tuesday, the German Red Cross said it will distribute hygiene kits to migrants to try to prevent disease from spreading as they arrive on the Greek island of Lesbos. The aid organization said that starting in mid-September it will hand out more than 19,000 kits, each containing a two-month supply of toothpaste, soap, laundry detergent, baby-care products and diapers. Germany also is expecting 750,000 people to seek asylum this year, up from a previous estimate of 450,000, government sources told the business daily Handelsblatt. Germany is the biggest recipient of asylum-seekers in the European Union, and some cities are saying they already cannot cope with the influx, as hostility toward and attacks on migrants has surged in some areas. The issue of asylum-seekers has also forced Chancellor Angela Merkel to address fears among some voters that migrants will eat up taxpayers' money and take their jobs. Hungary, which has registered 100,000 migrants so far this year, compared with 43,000 in all of 2014, said on Tuesday it will send thousands of policemen to its southern border with Serbia, where it is building a 177-kilometer (110-mile) security fence, to stem the influx of refugees. Landlocked Hungary is part of the European Union's Schengen zone of passport-free travel, making it attractive to migrants transiting the non-EU Balkans. Prime Minister Viktor Orban's chief of staff, Janos Lazar, said the deployment of additional border guards was required because of what he called the increasingly aggressive and resolute behavior of migrants, many of whom are arriving from Syria, Afghanistan and Iraq. The European Union, which is struggling with how to handle the influx of migrants, failed to agree last month on how to spread 40,000 asylum-seekers among its members. In a report last week, Amnesty International criticized Austria for its “scandalous” and “inhumane” treatment of many asylum-seekers, including leaving more than 1,000 people, including unaccompanied children, to camp in the open, providing inadequate health care, and forcing male and female migrants to share shower facilities without curtains. 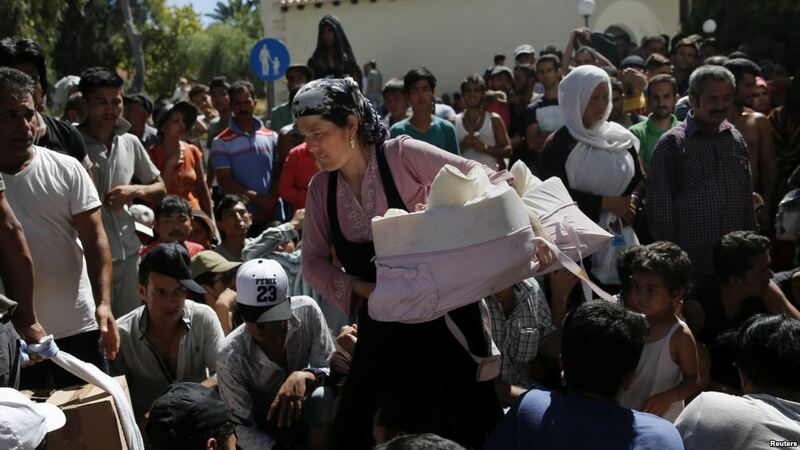 "Showers for women were organized like a peep-show," Amnesty Austria head Heinz Patzelt said. "I am unspeakably angry." Patzelt said the conditions represent a failure to care for refugees fleeing wars, and violate U.N conventions. A team from the rights watchdog visited the Traiskirchen center, south of Vienna, Aug. 6 and found migrants seeking out shady areas of the center's grounds to escape from relentless heat. They also said four doctors and three psychologists, working only a few hours a day, are responsible for the care of the more than 4,000 people at the center. In response to the criticism, the Austrian parliament Monday considered legislation that would force towns that balk at taking in refugees to accept them. The draft law, which could become law by October, obliges towns to allow refugees numbering up to 1.5 percent of the local population onto federally designated sites if their province does not fulfill agreed upon quotas. Lawmakers said the measure was one way to ensure a more equitable distribution of refugees, but right-wing leader Heinz Christian Strache of the Freedom Party described it as the imposition of quotas "with brute force." Elsewhere, Italian police arrested eight suspected human traffickers on suspicion of homicide Tuesday. The eight suspects are accused of possibly forcing migrants to stay in the hold of a fishing boat in the Mediterranean as 49 of them suffocated on engine fumes. The dead migrants were discovered last weekend aboard an overcrowded fishing boat in the Mediterranean Sea north of Libya. Monday, the Italian coast guard delivered the bodies, as well as 320 survivors from the boat, to Catania, Italy, where officials say they will bury the dead migrants in a local cemetery.